WOW!!! 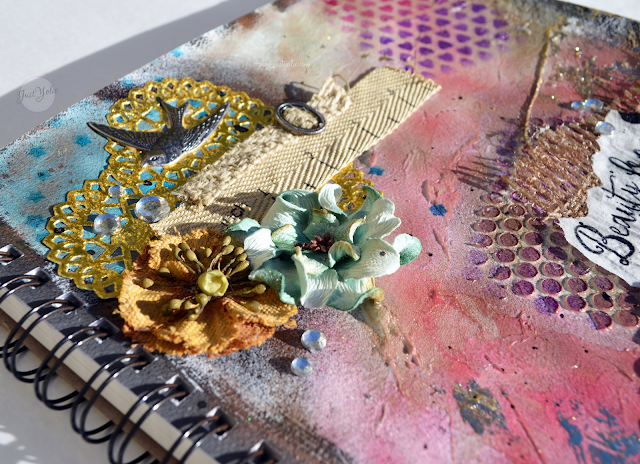 Check out this beautiful project by Yolie. 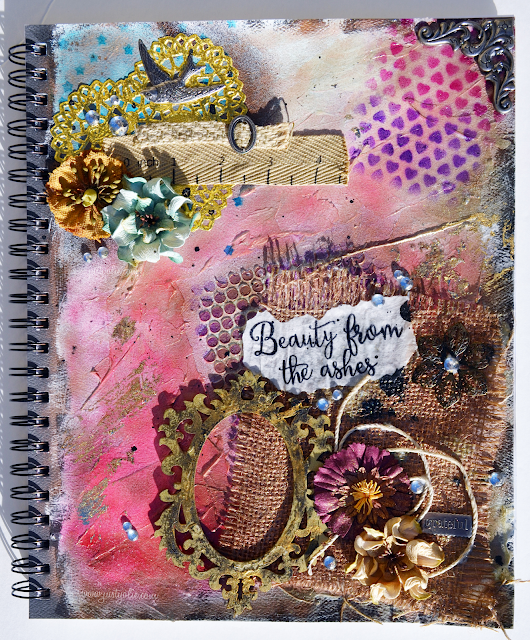 I love her journal and hope I can make one for me....how about you??? 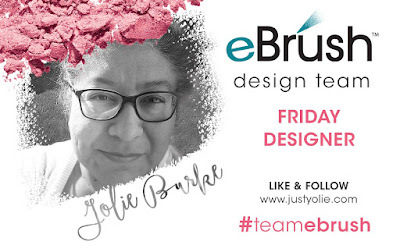 Happy Friday, it's Yolie with Team eBrush here today to share my Art Journal. 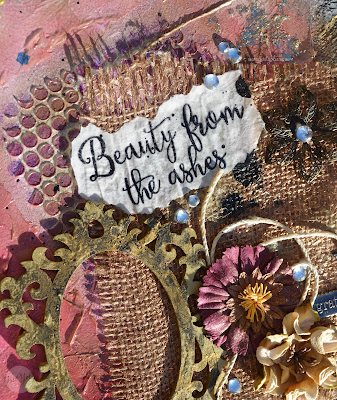 My art journal cover ... On the bottom right, I added lots of texture with embossing paste, burlap, added flowers and stamped the sentiment on glassine paper. I then dipped a paint brush in black ink and flicked it to create splatters of ink. Before I started to layer, I took my eBrush with Sharpies and sprayed the surface with red followed by a metallic bronze. 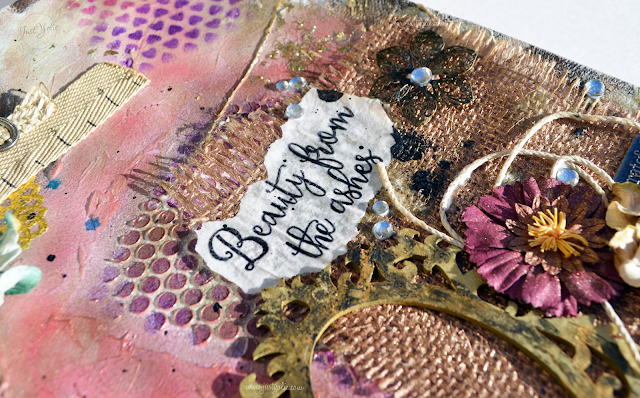 I used Latina Crafter's, heart, star and cirlce stencils and eBrushed blue, red and pink. 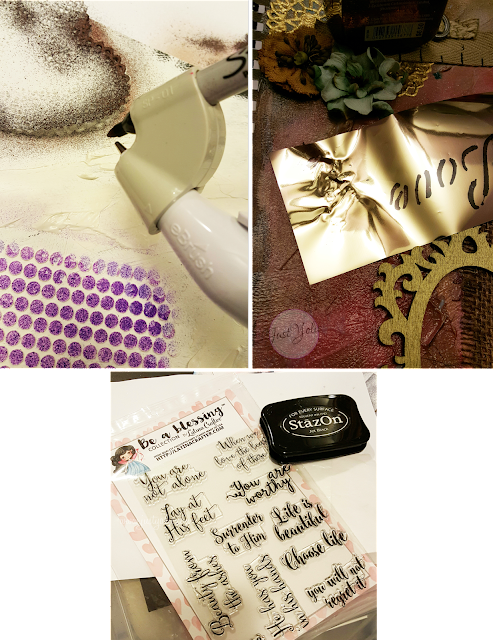 I found a scrap of gold foil sheet and rubbed on just a couple of places where the glue was still wet. The wood frame was gold, but I added embossing paste, added a bit of black ink and then rubbed Gold Metallic Lustre paste. I love how this cluster turned out.